Located at the heart of the Costa Brava, between the Gavarres and the mountains of Begur, Palafrugell sits on the headland of Sant Sebastià, 165 metres above the sea and with 12 km of coves and beaches (1). With near 23,000 inhabitants (2), Palafrugell is the most populated municipality of the Baix Empordà, containing towns both in the interior and on the coast, such as Calella, Llafranc or Tamariu within its boundaries. The cork and tourism industries are the economic motors of the area (3). Its natural, literary and industrial heritage and an endless list of coves make Palafrugell the ideal place to rest and enjoy the surrounding area. 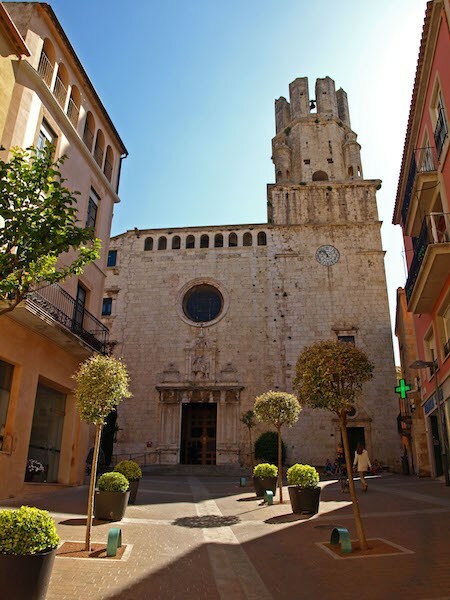 The urban centre of Palafrugell allows one to do all kinds of cultural, sporting and commercial activities. The nuclei of Santa Margarida, Ermedàs, Llofriu, Calella, Llafranc and Tamariu complement it with an unbeatable natural and maritime environment. The scenery of Palafrugell can be discovered through its coastal paths, scuba diving, hiking, bicycle tours and playing golf. All this in addition to enjoying its beaches and top level cultural and leisure activities. Rich and varied, the cuisine of Palafrugell combines both the avant-garde and tradition, with seafood occupying a central position. Gastronomic days like the Garoinada (cooking of sea urchins) or dishes like the Es niu (typical at Lent) denote the area’s attention to its cuisine.